DSU Baseball Game. Young Professionals social. Sponsored by TDS. 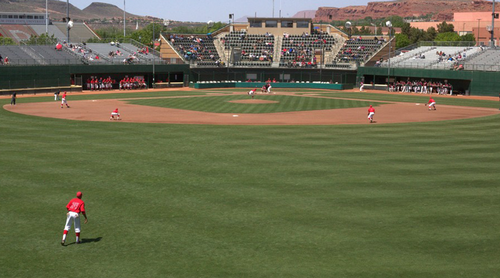 Bruce Hurst Field on the Dixie State University campus. Meet at the front gate by 5:45pm to get tickets. No registration fee. Online registration required for free ticket provided by TDS & Young Professionals.